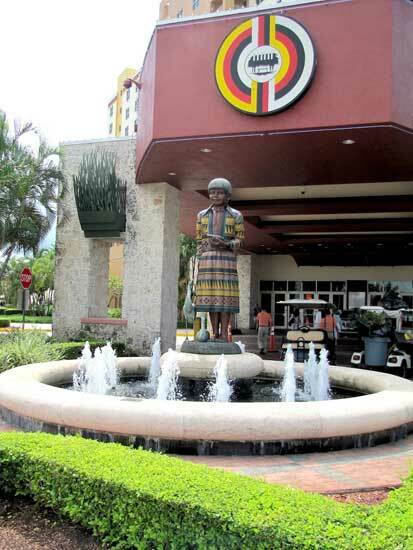 The Tribe of Indians of Florida’s Miccosukee Resort at the intersection of S.W. Eight Street and Krome Avenue offers something for everyone with five delectable dining options. Discover great culinary treats at either Empeek Cheke (their intimate signature restaurant), Empeeke Aaweeke (their international buffet), Empeeke Aya (their 24 hour deli), Cafe Hammock (their 24 hour cafe), or their 24 hour Bingo Snack Bar (serving hot entrees and salads). 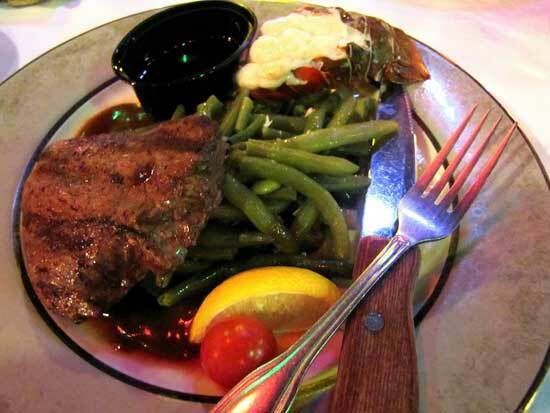 At Empeek Cheke gourmet lovers will delight in pan seared frog legs ($9) and alligator tips ($8), but the truly adventurous will jump at the venison chops and kangaroo steak ($29 each). The pasta and seafood range from $16 to $24. Their “From the Land” offerings include bison, duck and New Zealand lamb chops, ranging from $12 to $52 (for Australian Kobe beef steak). 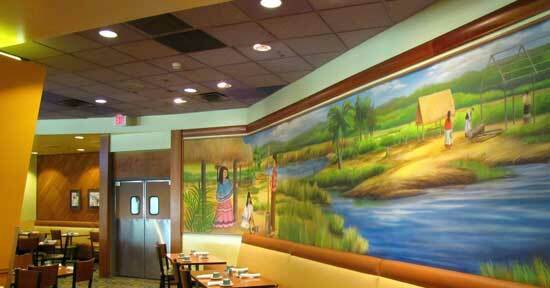 Hammock Cafe also offers an Everglades Crabmeat Salad ($6.95), Bahamian Conch Fritters ($4.95) and cat fish ($9.95). High Roller Specials offer larger portions of the hard-to-find stuff, such as frog legs ($14.95) and alligator ($15.95). Cafe menu prices range from $2.95 to $38.00. Enjoy an exclusive cocktail creation, “The Alligator Buster,” made with black berry brandy, sloe gin, dark rum, Jack Daniel’s with a blend of fresh tropical juices for $5. 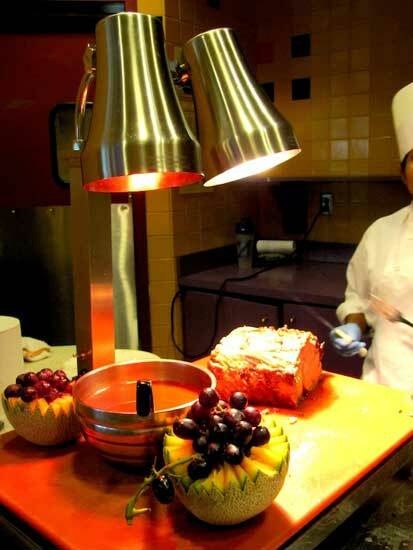 Their generous lunch/dinner buffet is served from 11am to midnight and is only $11.03 (children for half price). 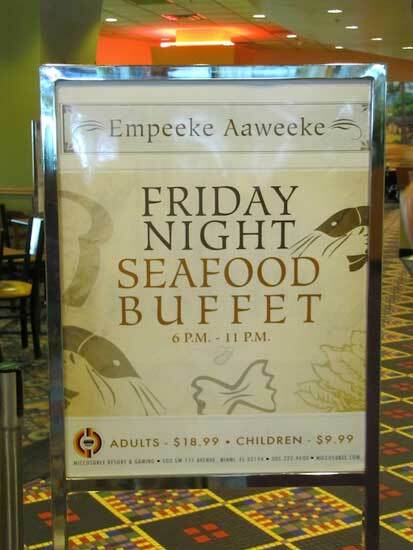 Don’t miss their Friday Night Seafood Buffet from 6 p.m. to 11 p.m. for $18.99 (children for $9.99). 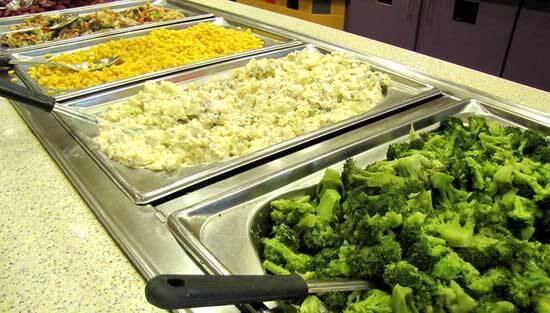 They also serve a breakfast buffet from 6 a.m. to 11 a.m. (Adults $7.98, children pay half price). The deli and snack bar offer a fanfare of equally economical options. The selections of sandwiches and salads will accommodate even the pickiest of eaters. 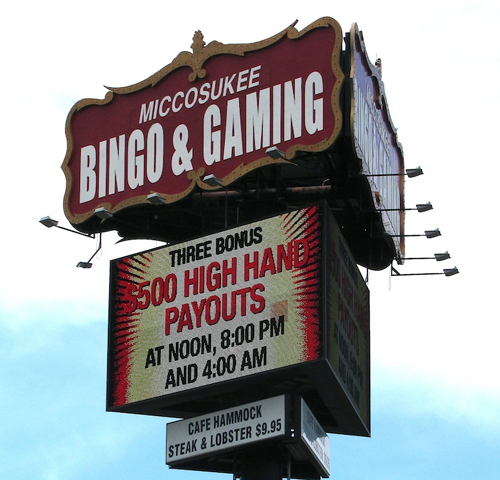 If you go to the Miccosukee on your birthday, flash your ID to get a free meal! 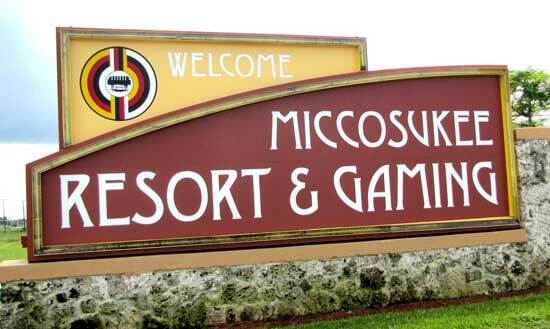 Indulge yourself with a little getaway any time of day or night at Florida’s Miccosukee Resort. And tell them that you heard about them on GreatFoodList.com. 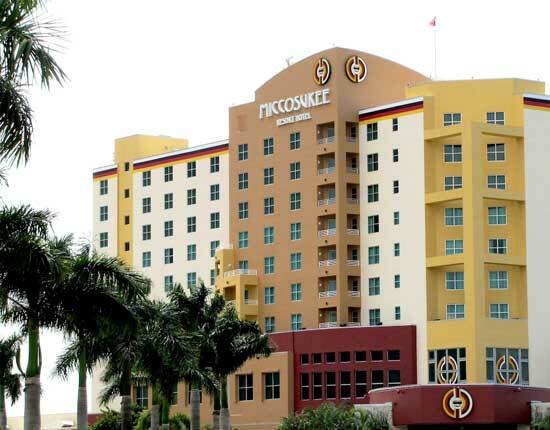 Note: The Miccosukee Resort is an environment for adults. Smoking is permitted throughout.